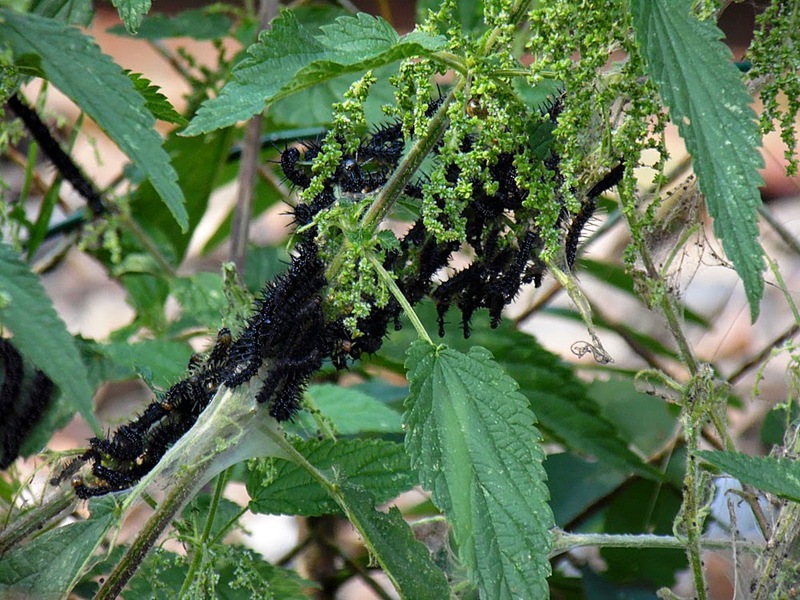 More caterpillars in the garden - hundreds of them! 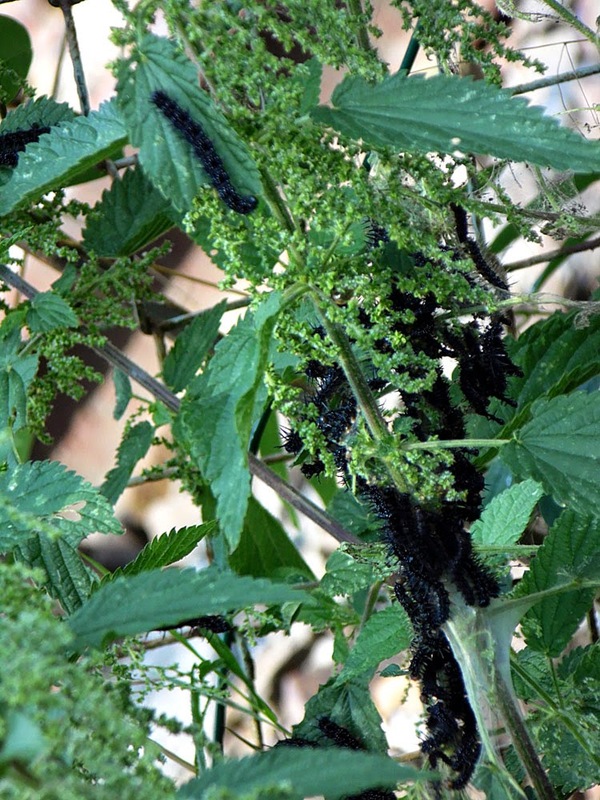 All over the nettles! 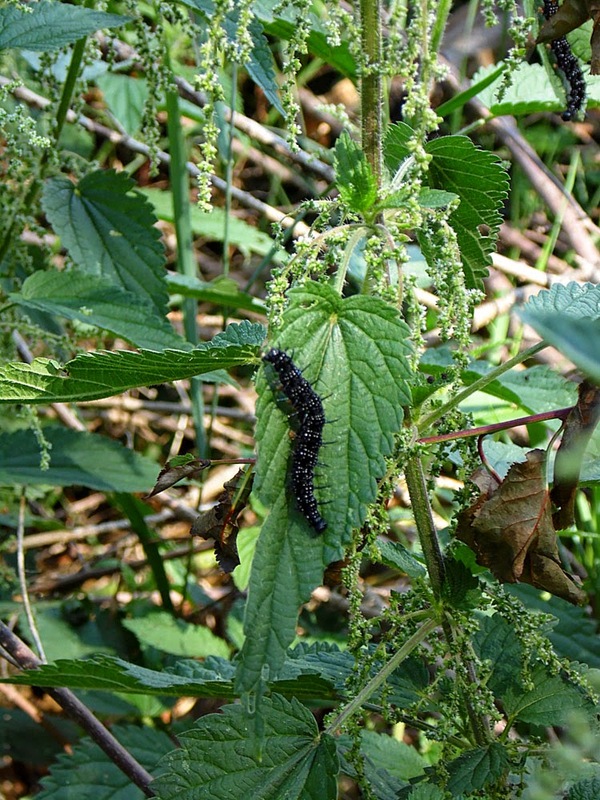 They are really cute though, and quite welcome to eat as many nettles (German: Brennnesseln literally burning nettles) as they want. 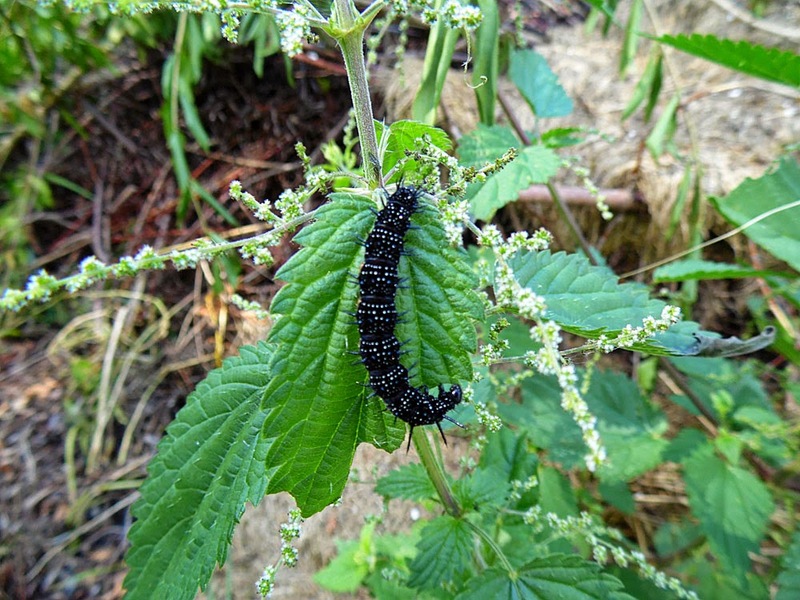 These are the caterpillars of the gorgeous peacock butterfly (Latin: Inachi io), and have managed to evolve a resistance to the nettle's cocktail of stinging chemicals and acids. Consequently, they are probably pretty distasteful to birds, and display vicious-looking black spikes and white eye-like shapes along their bodies warning that they are not to be eaten. They look pretty advanced, and will very soon turn into chrysalises. Then, in about a fortnight, our garden will hopefully be full of peacock butterflies!